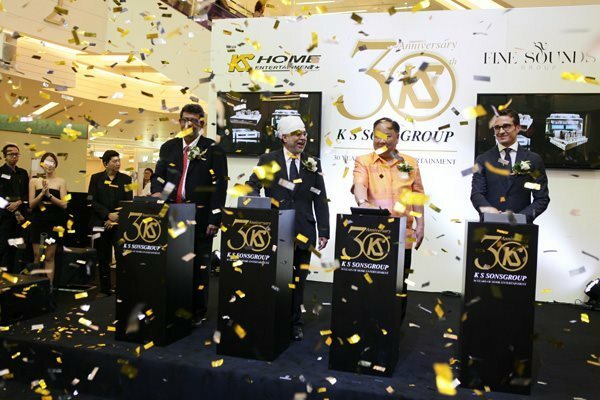 From July 4th to 9th 2013, great celebration of the 30th anniversary of KS Sonsgroup, the official distributor for Thailand for all the Fine Sounds Group brands: Audio Research, McIntosh, Sonus faber and Wadia. For six days in the prestigious Siam Paragon in Bangkok, one of the best mall in the world, were displayed a selection of products from Fine Sounds Group brands and, moreover, live music and important guests such as the Thai Minister of Transport and Communications and the Deputy of the Italian ambassador in Thailand. Congratulations to KS Sonsgroup!